Gather insights about your stories with statistics on each story and the enclosed steps. Compare them against each other to see what works and where you can improve. Answer the questions your users are actually asking. This feature uses unanswered user queries to suggest intents and or add variations to enrich existing intents. 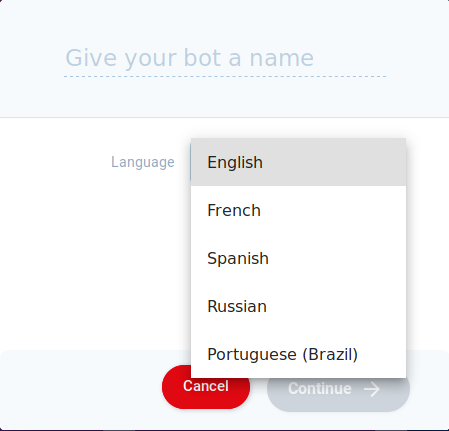 We have added five new languages to our platform. Our chatbots are now available in Dutch, German, Italian, Swedish and Turkish in addition to the five existing languages we support. Download the conversations and data collected through your bot in a CSV file. Use this data to improve your bot, offers and understand your customers. Link a user feedback step to all of your stories to monitor the success of your bot. The user feedback icon and graph is displayed on your dashboard to view both negative and positive statistics. Use the data collected by bots to your advantage with the Zapier integration. 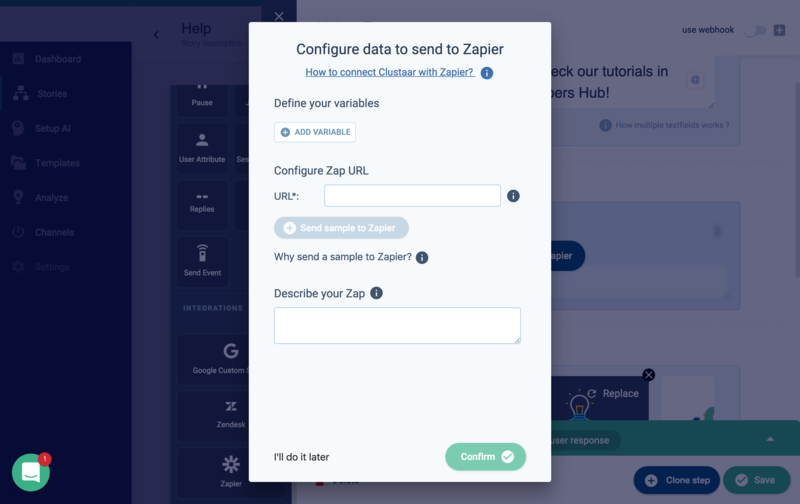 Zapier offers 1,000+ applications to connect your bot to. Set up your bot so that user data is neatly organized in a spreadsheet, or trigger alerts, plan meetings and more. This feature gives your bot the ability to close the chat and open other applications in a new window. 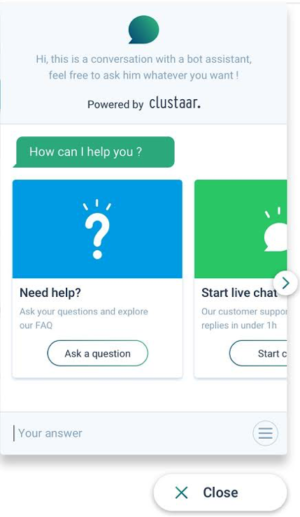 For example, when users indicate that they would like to speak to a representative the bot can now open a new window to connect the user with a representative via Intercom instantly. This new feature, found in the analyze tab visually breaks down the statistics of your intents over time. The data is displayed in the ‘matches evolutions’ graph and measure multiple intents at once to compare progress. This feature allows users to gauge the efficacy of existing intents and improve accordingly. The Matching Rate feature is an indicator of the efficacy of your bot. The matching rate represents how much your bot understands user queries. This indicator can be displayed on the ‘Evolution of Interactions’ graph on the Dashboard. Users now how the ability to reset their conversations at will. This is especially useful for users to explore different stories, products, and solutions. 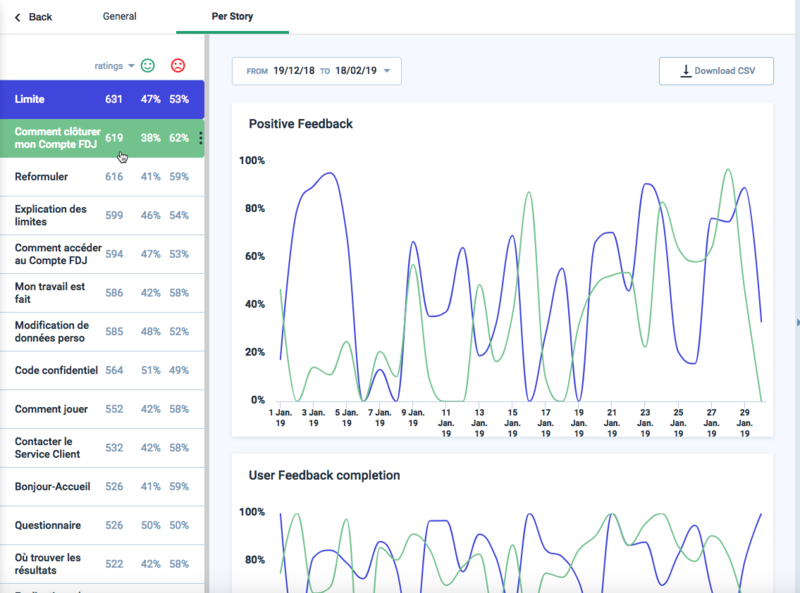 The updated dashboard is now equipped with three graphs to visually track your bot’s interactions and progress with users. Discover what works and what doesn’t with the evolution of a graph of interactions that displays both messages and button activity. Intent recommendations are easy-to-follow guidelines to increase the quality of your intents. Several tips are now displayed on the intent building page along with a “completeness” gauge to track the strength of your intents in real time. Strong intents help bots to better understand user requests and formulations. All platform users now have access to a pre-built chatbot. This bot contains the majority of the features available for beginning builders to better understand the platform. This bot contains examples of popular stories such as lost passwords, pricing, contact forms and more. This feature allows you to retain information about a user, such as a user’s name, email or other information you define. This data will be captured and accessible to you beyond the lifetime of a story. 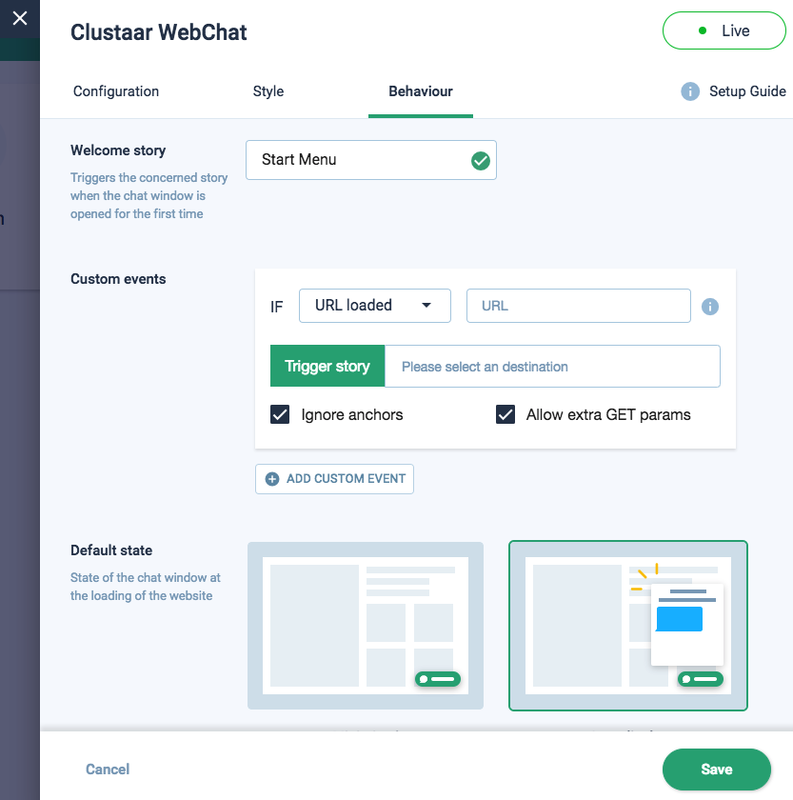 The Clustaar webchat script is now easy to integrate with the Google Tag Manager. This feature allows you to import the code directly from GTM. Clustaar webchat is now optimized for mobile, The webchat is a full-screen display, making it convenient for the user. All the features that users enjoy are compatible with the mobile version as well. 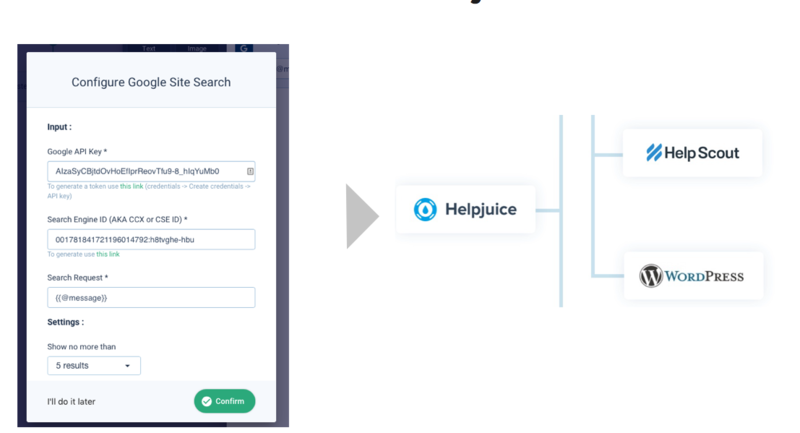 The “analyze” tab gives you the ability to navigate through users’ queries, filter unmatched questions and improve intents. This feature allows you to mold the bot according to client needs. 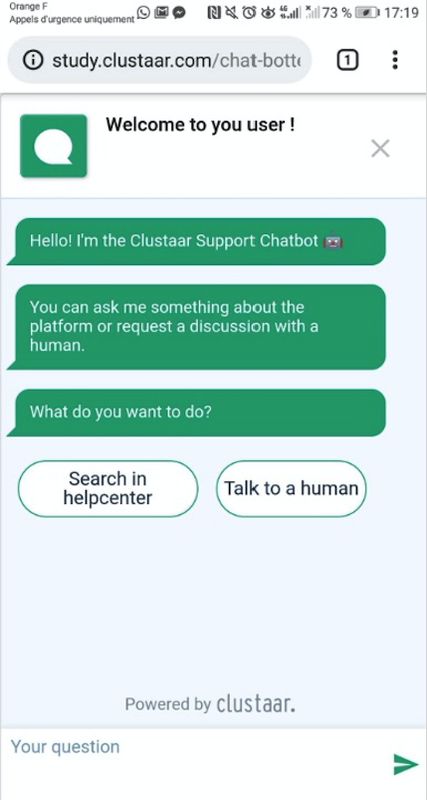   烙  Several languages are available on the Clustaar chatbot platform. Currently, we offer English, Spanish, Portuguese (Brazil), French and Russian. Additional languages are available upon request. 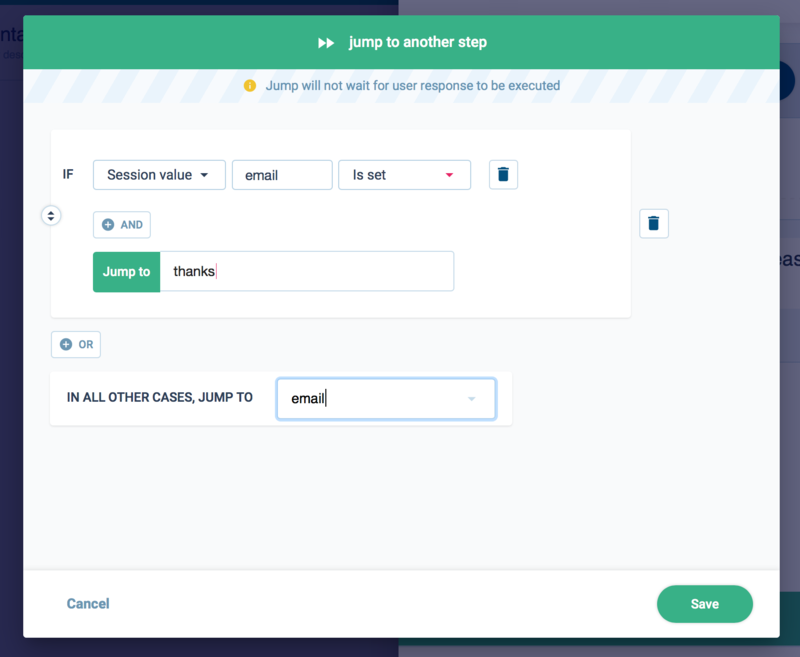 Gives your bot the power to jump from any step or story, for any particular reason (session-value, user attribute, user message). It is particularly useful to create advanced qualification behavior, particularly with frequently used stories (such as menu or customer satisfaction). Using the “debug mode” gives you the ability to test the chatbot. 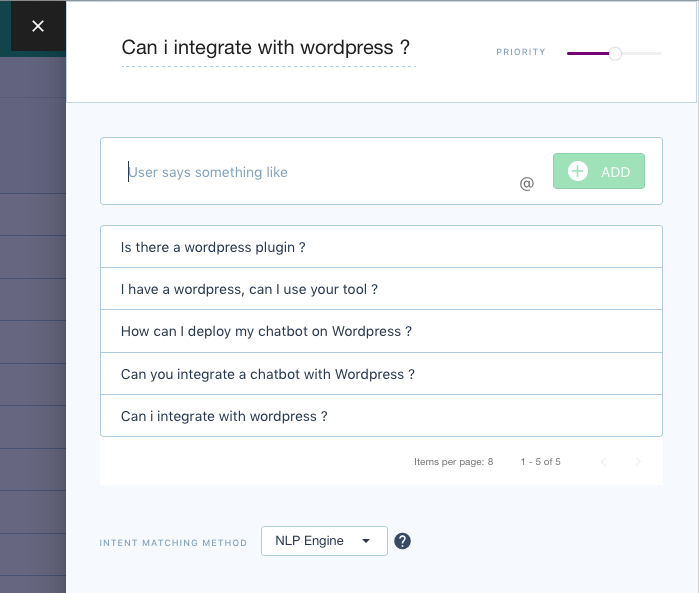 This feature help you understand how the NLP technology interprets previous user queries and allows you to understand all the steps processed by the chatbot. 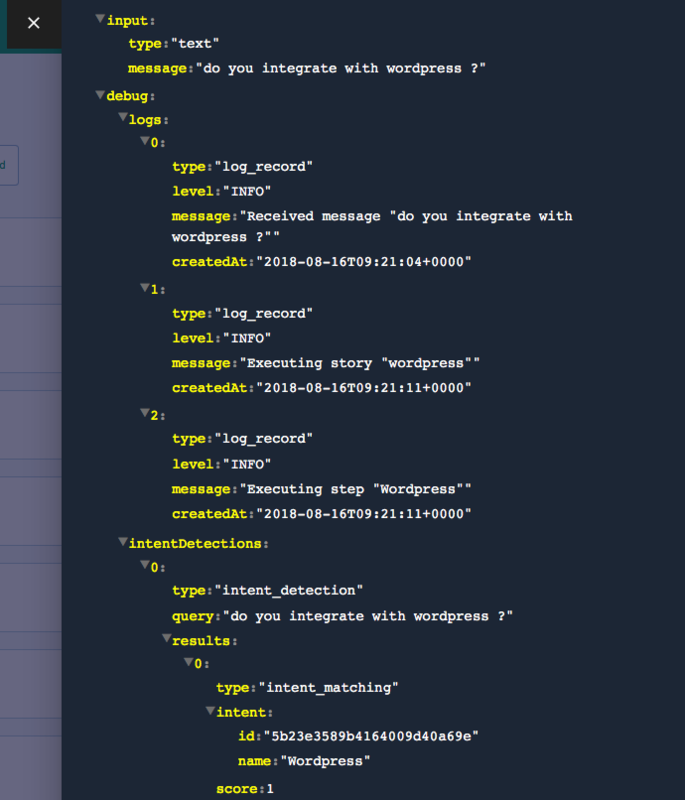 Additionally, you can view the JSON generated for your webhook. The chatbot builder comes with built-in templates, so you don’t have to start from scratch. Choose your template, import it, and you’re good to go. There are a variety of templates in the database, with more added each week, and we can build new ones upon request. 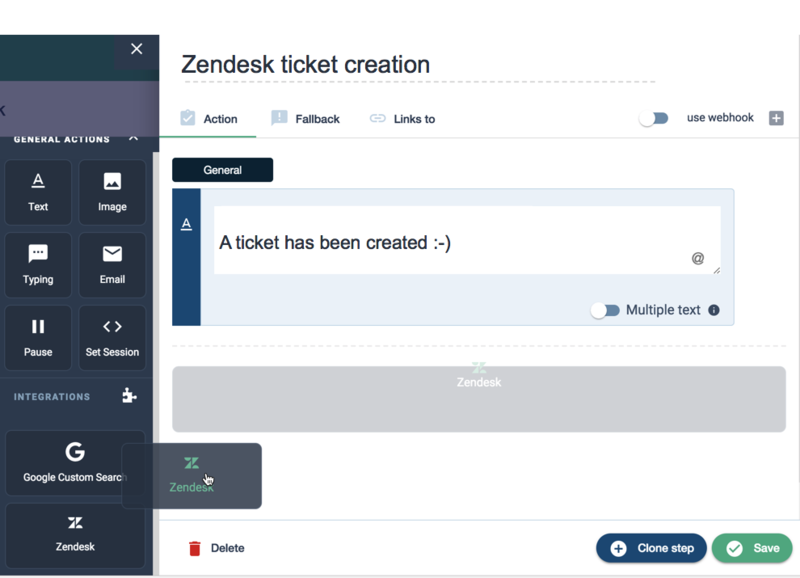 Your chatbot has the power to create a ticket in Zendesk and link clients to the additional support they seek. Typos do not stop the NLP engine from understanding user requests. We built an NLP engine specifically designed for chatbots and launched it last July. This is a major improvement in the way we deal with typo tolerance and spell check. Use the Clustaar webchat to engage with customers on your website or application. 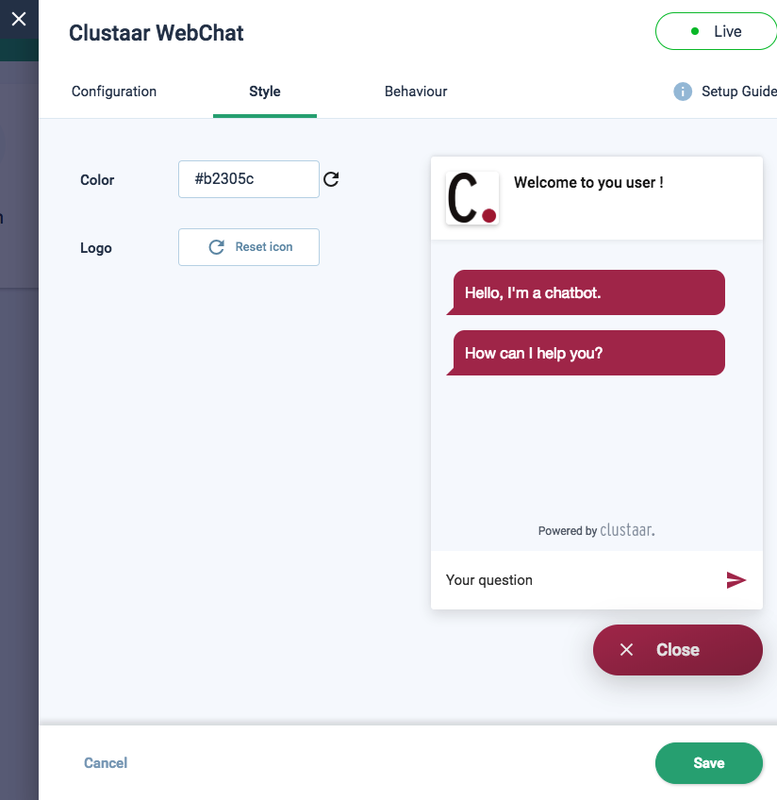 The Clustaar webchat is easy to use and even easier to integrate with a single line of code. 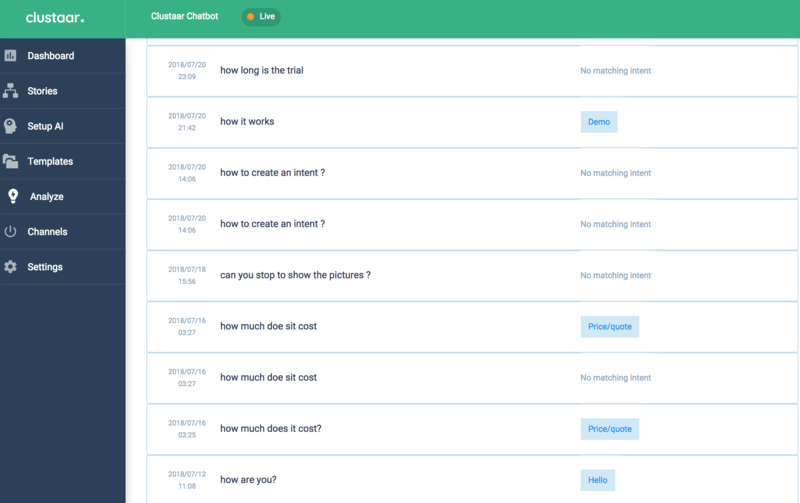 With our FAQ maker, we have made it easier than ever to compile a list of your FAQ and create your first FAQ chatbot in minutes. If you already have a list of FAQ, you can import them from a CSV and build it even faster. Need another bot similar to the one you’ve created? You can clone, back up and manage a version of the chatbot. 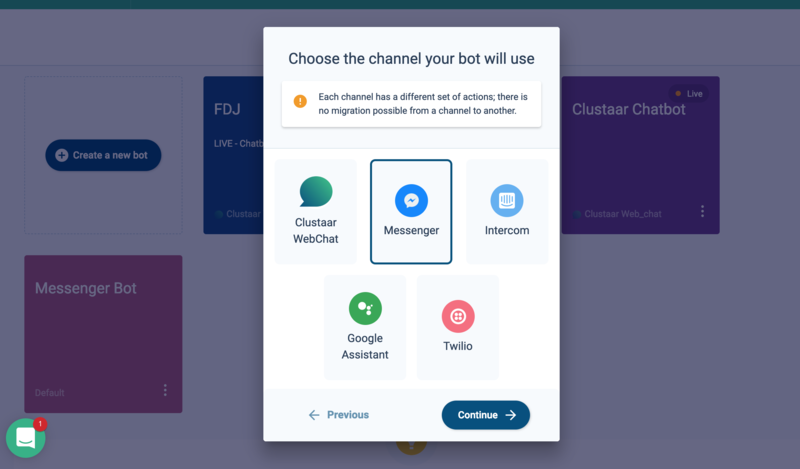 Clustaar bots can connect with your existing knowledge base with Google Site Search integration, thanks to our plug-and-play. We opened our conversation and WebHook APIs associated with a complete developer documentation. 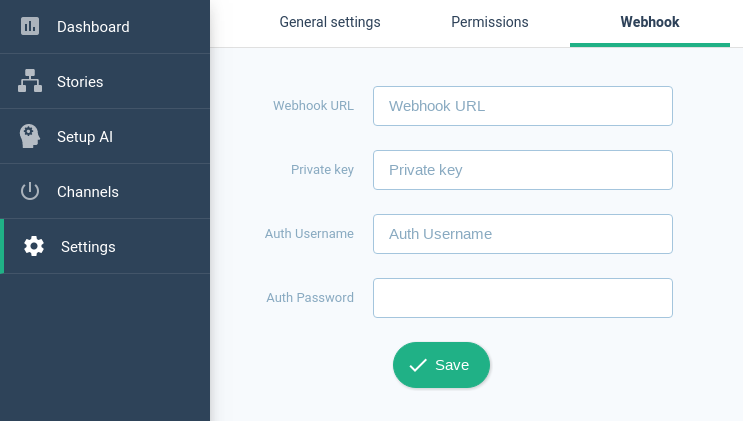 This release has been been completed by the open-sourcing of our WebHook Framework. 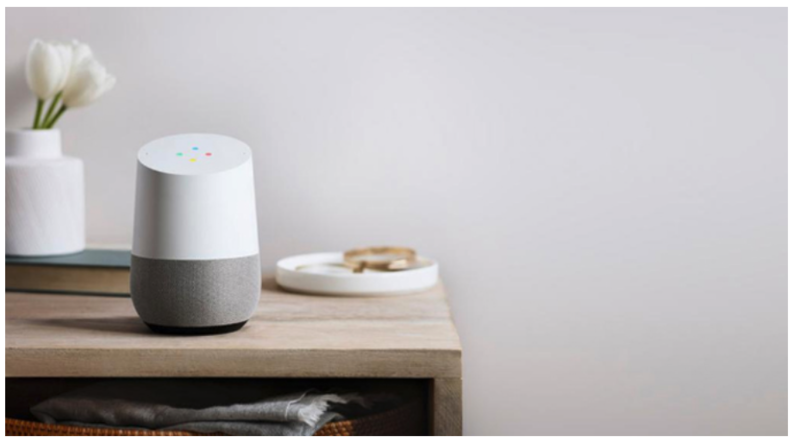 The Clustaar platform supports voice commands, thanks to our Google Assistant Integration. Webhooks are useful to build advanced bots. You can use information in your database, a CRM, a customer service tool or an internal API (recommendation engine, search, etc.). Learn more in the developer documentation. Build your chatbots the easy way. The visual stories builder maps out all the complex rules in an interface that’s simple to understand. Stop wasting time trying to build a logic with your IT team and do it directly on the platform. Integrate rich messaging formats, such as cards, quick replies and carousels, in your conversation without code. Additionally, your bot can also send emails or trigger advanced actions. Explore the drag and drop actions available for your chatbot in our help centre. The advanced intent + entities configuration create smooth conversations with powerful logic (logical conditions, Regex and entity extraction). We have covered all of our bases to make sure that your clients’ queries can be quickly understood and resolved. 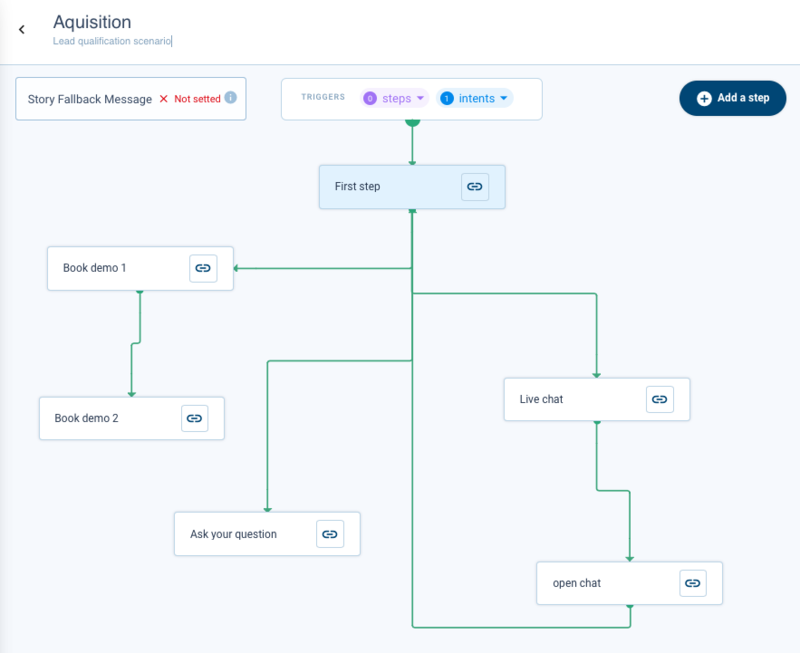 We have managed to create the most advanced Intercom chatbot integration that will automatically assign conversations to a human agent on your team when needed. Integrate your company’s Facebook page with Clustaar to have a bot ready to assist customers on your page.